Haha! Are you gonna wear them? Wow! Where did you get these? At the Smithsonian Air and space museum. This might sound silly, but some pet stores (at least in America, not sure about the rest of the world) have machines where you can make tags for your cat/dog/whatever. Most that I've seen have regular "dog" tags as an option. 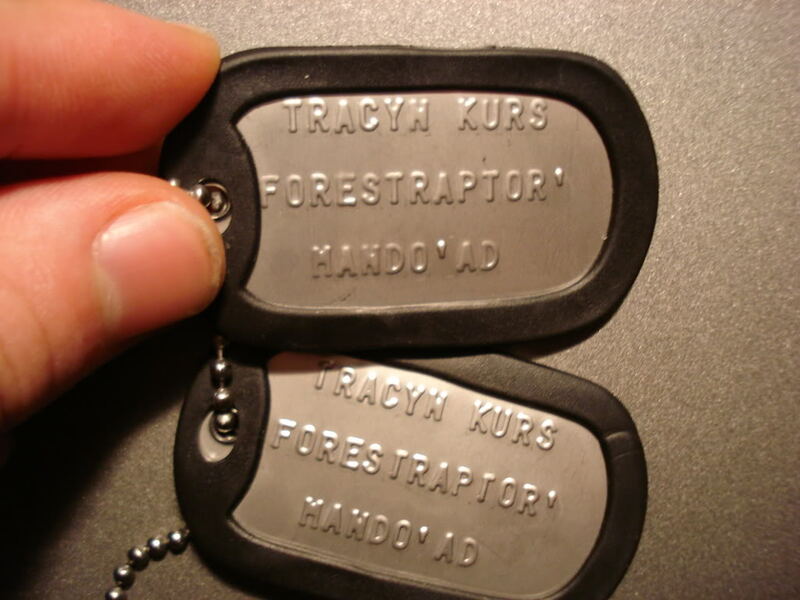 You can inscribe anything you want on them, and could easily just put them on a chain for yourself. I've also seen dog-tag machines intended for people, but those are a little harder to find sometimes. (Evidently in places like the Smithsonian museum). Those things are nifty. They're in almost every single Petsmart I've ever been to. » thick brass Gi Joe DogTag?